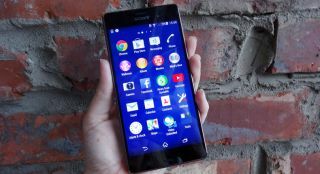 Sony reports £750m Q2 loss as mobile division struggles | What Hi-Fi? Sony has reported losses of £750m for the second quarter of the year, with its struggling Mobile Communications division plunging the Japanese tech giant into the red despite success with its TVs and PlayStation 4 console. In the three months to the end of September, the corporation revealed that sales had increased by 7.2 per cent compared with the same period in 2013, with "contribution of the PlayStation 4" the driving force behind the rise. Elsewhere, Sony said that sales in its Home Entertainment and Sound division had also grown 7 per cent in Q2 2014 after LCD TV sales "increased significantly" – particularly in Europe, Asia Pacific and North America. But the mobile division had a significant impact on income, with a ¥176bn (£969m) "impairment charge of goodwill" among the main reasons. Marketing and R&D expenses were also up in an attempt to "expand sales channels". A couple of months ago, we reported how the corporation is expecting to report a loss of around £1.3bn for the 12 months ending 31st March 2015 and it appears these latest figures will do little to raise the spirits at Sony any time soon.